A Florida Beach Wedding Guide. Written by Michael Jones, with over 30 Years in the Wedding industry Michael is more than qualified to help plan, run, and help with any aspect of your wedding from planning to day of Co Ordination , He was voted President of the Bay Area Bridal Association 6 times by his piers , leading them to the largest Wedding show in the Tampa Bay Area. He owned and operated a Country Club for over 25 years doing over 200 weddings a year. His team is outstanding as he was able to pick the best of the best over the two decades at his club. So why plan a beach wedding in Florida, why not, we have the best weather , we are based on Clearwater Beach , voted now the third year in a row, Best Beach in the whole USA . We can and do of course travel all over the State of Florida, but its here on Clearwater beach that we do most of our weddings, at this time no permit is required , unlike a lot of beaches who have seen a tremendous jump in the number of beach weddings over the past 5 years and so the local Cities are now charging $200 plus for a beach wedding permit at a lot of locations , please check with our staff , who can advise you if the beach your looking at requires a permit. The beauty of what we do, is to make your life as stress free as possible, we come to you , so if you book a beach hotel , villa , condo or house , we can set up right there on the beach for you, so all you have to do on the day , is relax , get dressed and walk out to us. We will already be set up waiting to go. We typically meet you at the back of the property about 5-10 minutes before the aisle time. The minister will take the groom and guests out to the set up while the photographer waits for the bride to arrive. The photographer will then take a few a pictures of the bride, before bringing her out to us at the set up. The ceremony takes place. Once complete we will take a group picture of everyone there, then using the bride and grooms help narrow down and down through family to just themselves. Its at that point we will typically take the bride and groom, plus their children if they have any, down to the waters edge for the remaining shots, so as to eliminate any other beach traffic, but more importantly to enable us to get a clear backdrop of the fantastic Florida Sunsets over the ocean. After the photographer has completed their hour with you, we will then burn your images to a disc or thumb drive for you, before leaving you, so you have all your images instantly. All copyright free and with full printing right to you. We do then offer a full enhancement program once you have viewed all the pictures. Select the ones you really love and we can enhance them for you, where its just one or the whole shoot. To book us is easy: we require just the $250 retainer, we instantly email out to you an invoice with receipt, a contract, full information on how to get your Florida Marriage License, as it generally has to be done in person, and a choice of ceremony’s for you to pick from. We then contact you about 2 weeks before your wedding to go over everything with you including choice of ceremony, they are very flexible and can be altered to suit you, including writing your own vows, your color scheme for the decorated Arch, unity sand and fresh Rose petals. Its then at that time after we have finalized all the details with you that your balance is due just 7-10 days before your big day. Its just that easy, a walk on the beach as so many of our clients have expressed to us juts how easy we made it for them. We are always available to answer questions by both phone, email and text and try to respond very very quickly so you have the peace of mind of knowing the answer to that all important question as you think of it. You will have questions for us, please ask, we are here to help guide and make the planning of your Dream Beach wedding in Florida as easy as possible. We at Through The Lens Studios are always looking for ways to make life easier for our Brides & Grooms! A few years back we noticed some common things that all of our clients were still in search of and looking for a reliable company with the same top notch customer service that we offer. Our brides were in need of their Ceremony arch and decor as well as officiants who are professional and passionate about their role in the ceremony. We set out to fill that need, in doing so FL Destination Weddings was created! FL Destination Weddings delivers your entire ceremony setup to any location you dream of! We provide multiple arch options, various decor arrangements and colors, chairs, music, special ceremony additions such as unity sand and amazing officiants who have performed hundreds of ceremonies. The whole ceremony set up is arranged with photographic perfection in mind! Being photographers we have an eye for detail, this lends to gorgeous setups not only in person but in your images as well! We also love that the complete ceremony team is there and on the same page at the same time! We travel together as a well oiled team with minister, photographer and all decor items meaning there will be no vendor mishaps on your big day! We think wedding planning should be fun and stress free, a “Walk In The Park” as we call our most simple package we offer! ( starting at $299) Through The Lens Studios & FL Destination Weddings are the perfect team for your Florida Wedding! www.ThroughTheLensStudios.photography www.FLDestinationWeddings.com TTL Studios Photography has been capturing memories for over 20 years! Our style is one of creating a photojournalistic storybook of your wedding. For more information, go to our web site www.TTLstudios.photography or call (844) 581-7427. 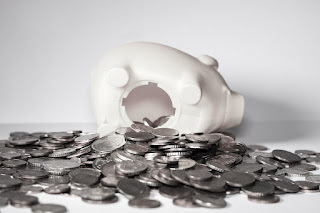 Weddings can be expensive events to plan, especially if you and/or your spouse has a large family. This becomes especially true for couples planning destination weddings, which can often make guests worry about costs for the big day. However, not all weddings need to break the bank. We’ve laid out some tips on how you can save money for your wedding. Airfare – While flying first class or purchasing other amenities can make a flight quite enjoyable, they’re not necessary. Sacrificing luxuries like expensive meals, drinks, or seating can dramatically lower your costs. Booking at the right time can also help cut costs on airfare (during the week versus on weekends). Invites – An option that is both eco-friendly and guaranteed to save you money is to use electronic invites in lieu of stationary. Digital invites also allow you to include more details and the bonus of being able to send updates if necessary. Decorations – With beach wedding packages, you’re already surrounded by a beautiful landscape with stunning natural light and a great vibe. This gives you the ability to keep your decorations light, saving you money and letting the location speak for itself. Another way to save money for your big day is by utilizing the service of destination wedding planners. With Florida Destination Weddings, you can get all your planning done with one company for a very competitive price – all customizable to your tastes. Contact us today for more information. After getting most of the planning done for your big day, it can be irritating to know there are certain things you can’t completely plan for your beach wedding like the weather or how your skin is going to look that day. However, you can start a beauty regimen in anticipation of the ceremony to give your skin its best shot at glowing when you’re at the altar. Read below for a beauty regimen you can follow leading up to your destination wedding in Florida. 1 Year Before – Go to a dermatologist and determine what products and medications will best suit your skin so you can start using the right products. 9 Months Before – Settle on your skincare routine, including what products you use, including washes and lotions you use on your body. 6 Months Before – Consider a teeth whitening treatment if you believe you could use one and stop drinking red wine to avoid any damage to your pearly whites. Drinking coffee through a straw would also be a good idea to keep your teeth stain-free. 3 Months Before – Cut back on your sugar intake as much as possible so your skin has time to adjust and clear up in the months leading up to the ceremony. 1 Month or Less Before – Stop your alcohol consumption altogether to help your skin and body be their healthiest. Assess any possible tan lines and utilize professional spray tan services or at home lotions to even out complexion. With these tips in mind, plus healthy diet and exercise, you’ll be looking and feeling your best on your big day. Wedding registries are a great way to help guests pick out items knowing that you’ll appreciate them and prevent you from getting 10 of the same item. They take the guesswork out of shopping for gifts and can even offer certain discounts. To get the most out of your registry, there are a few things to keep in mind and some research you should do. Register at more than one store By registering at several stores, you allow your guests more to choose from and more ways to get you a personal gift. You can also hope to be more surprised by your wedding gifts and have more unique pieces that if the selection was restricted to one store. Select items with a wide range of price points While you don’t want to ask every guest at your wedding to shell out some major money for your registry, there are certain family members that are going to want to do that. Including gifts in your registry of varying price points allows your guests more freedom and comfort. After all, you don’t want to embarrass your guests by asking them to get a gift they can’t afford. Set it up early Don’t wait until the last minute to get your registry set up, as that will leave your guests scrambling at the last minute to find presents! Doing your research early on and selecting your registry gives your guests a comfortable amount of time to find the right gifts. Keep these tips in mind when you’re planning your destination wedding in Florida to make the most of your registry for both your sake and your guests’! You want your wedding to run as seamlessly as possible, and we can help. In order to ensure a stress-free, enjoyable event, it’s important to plan ahead of time to avoid any issues the day of. 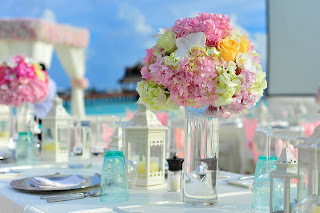 Especially for beach weddings, there are a lot of factors you may have to plan for that you wouldn’t have to indoors. We’ve previously touched on a few of these reasons, here are some more to help you out: Avoid heels For anyone who was interested in wearing heels for the wedding – think again. High heels and sand unfortunately do not go well together, so encourage guests to consider options like flat-soled sandals, wedges, or another form of shoe that won’t sink and get stuck in the sand. Provide shade Even in a dress, the beach can sometimes be unbearably hot when the sun is beating down on you. To avoid guests getting impatient or dehydrated, set up areas of shade like a canopy over the seating area where those at the wedding can take a break from the sun. Offer refreshments In the same note, make sure to have plenty of liquids to keep you and your guests hydrated. Offer things like water, lemonade, and maybe a cocktail or two so attendees can quickly stop by, refresh and keep enjoying the ceremony. If you’re interested in a beach wedding and need help sorting through destination wedding packages, come to FLDestinationWeddings.com. We’ll help you create your perfect day. Beach weddings in Florida can be beautiful affairs that will make lasting memories for all involved. However, there are some major and minor differences between an indoor wedding and one occurring on a beach. For this reason, there are few things to keep in mind to ensure your beach wedding runs as smoothly as possible. Think about privacy You want your friends and family at your wedding ceremony, but you probably don’t want the general public crowding the event. Public beaches can be quite crowded, especially on holiday weekends. So be careful when picking a date and deciding between which private or public beach you’d like to have the ceremony at. Use the natural beauty to your advantage There are a lot of benefits to having outdoor weddings, one of the biggest being that nature provides its own beautiful decorations. On a beach, you already have the sand, sky, and beautiful ocean as your backdrop. Instead of loading up on other decorations, highlight the natural beauty of your setting. Think about time of day Weddings are photographed to remember forever, for both the happy couple and their guests. Natural, outdoor lighting can lend itself to stunning images, if you’re careful about what time of day you’re snapping pictures. The hours before sunset often photograph well, so a later ceremony could be good for pictures and allow a beautiful view of sunset. 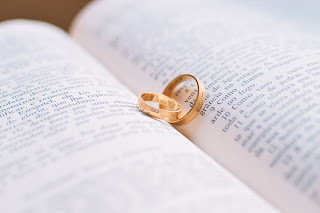 Vow renewals are joyous celebrations of the love between two individuals that can occur any number of years into a marriage. With divorce rates for new marriages rising, vow renewals become even more celebratory and rare. There are a variety of reasons a couple may choose to say “I do” a second time and in a previous blog we’ve touched on a few of the most common ones. 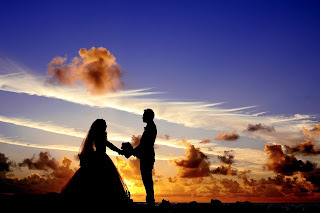 Here are a couple more: Formal ceremony Sometimes, two people are so in love they just can’t wait to get their lives started with one another and end up eloping or making a quick trip to the courthouse for the nuptials. While they may not regret this quick marriage, down the line they may regret not having certain family and loved ones there to celebrate. Vow renewals allow those joined in quick marriages to have a formal ceremony with friends and family. Love Above all else, one of the best and simplest reasons to renew vows is because of love. Sometimes, two people very much in love can fall out of it with time, but there are always couples that defy this and love each other more each and every day. Vow renewals are a great way to celebrate this happy and successful union. If you and your significant other are thinking about renewing your vows and are considering a destination wedding of sorts, turn to FL Destination Weddings. We have a variety of Florida beach wedding packages to choose from and will help you create an unforgettable event. Unfortunately, divorces are becoming more prominent in society; with around 40 to 50% of first marriages ending in one. However, that doesn’t discourage people from joyously marrying their significant others or even saying “I do,” a second time around. Couples choose to renew their vows for a variety of reasons, but either way, vow renewals give couples the opportunity to form another fond, loving memory to share. Here are some of the most common reasons couples decide to renew their vows. Financial Stability Often, young couples don’t have the extra funds to have the wedding of their dreams. This can result in a variety of outcomes from the bride not having her dream dress to the couple not being able to invite as many people as they’d like. Later on, spouses may find themselves more financially stable, allowing them to renew their vows with their dream ceremony. Milestone Anniversary As mentioned above, divorces are on the rise. This gives even more reason to celebrate a 1st, 5th, 10th or 20th anniversary! 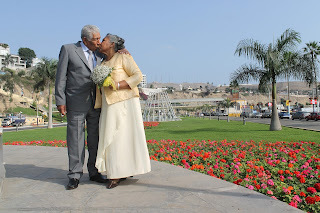 When a couple has reached one of these milestone anniversaries, it’s a great opportunity to celebrate their love and unity with family and friends. Inclusion of New People A lot of couples get married before they have started a family together, or before meeting lifelong friends they wish they could’ve had at their nuptials. Vow renewals allow couples to include their children in the ceremony or even have people who couldn’t make the original wedding. If you and your significant other are considering a vow renewal, what better way to do it is there but a sunny beach destination? Consider a destination wedding in Florida for your second “I do,” for an unforgettable experience. Welcome to our blog! Our team at FL Destination Weddings has been in the wedding industry for 30 years. Our team of professionals is dedicated to bringing you the weddings of your dreams, from start to finish. We noticed the demand for beautiful, destination weddings and a way to make them more affordable and accessible to the public. Our in-house services include music, photography, flowers and more. We don’t sub contract any of the work for your big day to ensure that the ceremony runs effortlessly and that you don’t have to break the bank to get the wedding you want. In addition, if you don’t see something in one of our packages that you want, we will take the steps to create a more customized package for your preferences. We’ve serviced weddings in most of Florida’s state parks and beaches, but that doesn’t mean we exclusively work outdoors. We’ve also held ceremonies at restaurants, vacation rental homes, and if you’d like, we could even arrange a beautiful ceremony in your living room! When you’re looking to create the wedding of your dreams with a destination wedding in Florida, turn to FLDestinationWeddings.com. We’ll be with you every step of the way, ensuring you a beautiful, romantic experience to share with those you love.